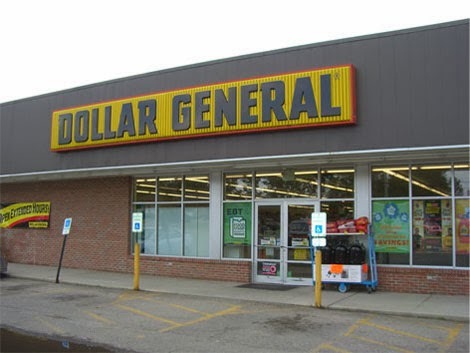 I live pretty close to a Dollar General, and I have to say I never really went there for more than a roll of paper towels or some other odds or ends until recently. I had a little time to kill and I decided to stroll the health and beauty section (after hearing good things about their false eye lashes which are only $1.50), and I was presently surprised by what I found. I decided to try these make-up remover wipes which are compared to the Neutrogena brand ones, and they're great! The have a nice mild scent, and they completely remove your make-up without having to rub too hard on your face. I also decided to give their Coconut Scrub Hydrating Body Wash a shot (compares to Softsoap brand), and the smell of this is amazing, and it leaves your skin super soft! I grabbed a box of their bandaids as well (since you can't have too many of those with little ones running around), and they have good sticking power, and I love the clear option- plus, they're only $1! Last, I picked up one of their Beeswax lip balms (which compares to Burts Bees Lip Balm), and it's fantastic! It rubs on so smoothly (even better, I may say than Burts Bees), and for the $1.50 price tag- it was too good to walk past. I don't know about you guys, but my lips always get so dry and chapped in the winter, and when I get on a plane, so I was happy to get this too! Like I mentioned earlier, I've heard great things about their false eyelashes (which my store was sold out of at the time- so I'll have to check back for them again soon), some of their eyeshadows and blushes, and some of their body creams...so I have lots to still shop for and try and review for you guys. I'm so digging' the dollar, and I think it's a smart place to spend my money on some of these items! Where are your favorite places to buy beauty products for less?